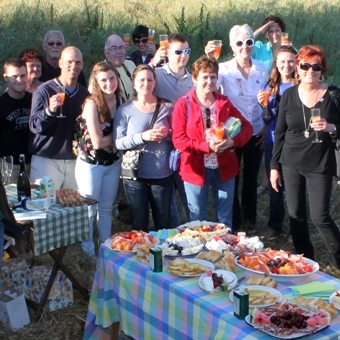 Welcome to Tuscany Ballooning, from here you can book your hot-air balloon flight over Tuscany. Balloon rides near Florence and Siena, the Chianti wine region and Lucca. Hot air Ballooning in Tuscany, Experience the magic of flight, a bird’s eye view on Tuscany’s vineyards, olive groves and ancient townships; There’s nothing quite like flying in a hot air balloon over the Florentine Chianti hills! Join us for a hot-air balloon ride over Tuscany, Chianti, Florence, Siena, Lucca, -to experience the timeless romantic beauty of Italy from a unique perspective. The Best things to do near Florence, your adventure in the tuscan countryside! A paradise for photographers, the hot air balloon is a perfect platform for aerial photography. After landing you will be served a Champagne Prosecco breakfast with local produce, the renowned Pecorino cheeses from “Fattoria Corzano e Paterno” and a light Olive oil tasting with Tuscan bread, the genuine taste of the Best of Tuscany. A cross country drive back to the launch field in the chase vehicle will conclude your wonderful early morning tour. The Standard Balloon flight with Traditional Prosecco breakfast after landing; This is the standard shared flight, usually 4 up to 6/8 people on board the balloon. – “Privilege”, Private flight with the balloon reserved exclusively for two people. – “Private Group” for family and friends with the balloon basket reserved for up to 8 people, or more. – “Large Group flight” Large groups for Corporate events, business Team building, Incentive activity or extended family and friends excursion; Several balloons takeoff together in formation for a spectacular event! We operate a large fleet of balloons of various sizes carrying comfortably from 4, 5, 6, 8, 10 up to 18 passengers. Our main CHIANTI Base and launch field is located near the town San Casciano in Val di Pesa, a 25 minutes drive from the centre of Florence, strategically located along the main road to Siena. If convenient we can offer pickup and transfer by our professional driver with Mercedes van from any hotel in Florence to the balloons and back for a flat tariff. From here we fly over the rolling hills of the renowned Chianti wine region, with its ancient castles and villages, famous vineyards and silver grey olive groves..
SIENA, On specific request we do also fly near Siena where we have several launch fields near the city. COLLE Val d’Elsa, located in between the medieval towns of Monteriggioni, San Gimignano and Casole d’Elsa; from here we takeoff near Mensanello airfield. LUCCA, For Special occasions and Private flights we fly also near Lucca; a charming jewel of a ancient tuscan walled town. Balloon Team Italia operates from several other bases throughout Italy; for flights near Ferrara, Bologna, Milan, Crema, Turin, Barolo, Alba, Mondovi and from Lugano (Switzerland). Read more on the Locations page. Or send us a Request. “An Amazing Life Experience” go hot air ballooning and Tuscany Ballooning made that dream come true in the best way possible! Not sure what was more fun, going up in the hot air balloon or hanging out with the Tuscany Ballooning Team. Great family and charming and funny and adorable. “Best experience so far in Italy”- Thank you Pascal and family for a morning we won’t forget ! “Incredible Experience” – From arranging the trip months in advance to the final champagne toast after our flight this was a first class experience ! .. Extra information about Tuscany Ballooning, Hot-air ballooning in Tuscany, Italy, Florence, Ballooning in Florence. Fly with Balloon Team Italia Srl. Tuscany Ballooning Sas, Best Ballooning Company in Italy, Tuscany, Must do in Florence and Siena, Firenze, Italy. The Top things, the best things todo near Florence, Firenze, Tuscany, Italy. What to Do in Tuscany. The best of Florence and Siena Outdoor adventures and Activities, Tours in Chianti, for family and children. Mustdo’s in Italy, What to do in Florence ? The best tour in Chianti. Once in a lifetime experience. Ballooning adventure in Tuscany. Festival delle Mongolfiere a Firenze. Booking, Reservation of a Hot air Balloon ride in Tuscany, Chianti, Florence. Ballooning from Castello di Casole. How and where to book a exclusive flight, Propose in a balloon, Private flight, Honeymoon flight, a Romantic luxury balloon flight. 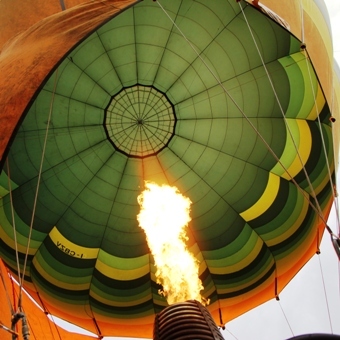 Things to know, reccommendations about flying in a hot-air balloon in Tuscany, Italy. Castello di Poppiano. Where to Propose in Tuscany, the ultimate wedding proposal in a balloon, The perfect Romantic marriage proposal. My proposal. Luxury ballooning. Check Best prices and service. Buy a balloon flight ticket, or a gift Voucher. Off-beat Sightseeing Tour Florence Siena Chianti Tuscany, fun as a family. Ballooning near Castello del Nero, Villa Il Poggiale. Fattoria Corzano e Paterno, San Casciano in Val di Pesa. Best attractions near Florence, Top things to do, best unusual outdoor activities for family, Must Do’s in Italy, Toscana, Chianti, Castello di Montegufoni, Siena, Lucca, Pistoia, Perugia, Cortona, Arezzo. Villa Mangiacane, Castello di Bibbione. Looking for a Gift Voucher, a birthday present, Privilege VIP Luxury balloon flight, Where to Reserve a Romantic and amazing balloon tour over the city of Siena. Book a Private, Exclusive, super VIP ballooning excursion. Booking a surprise romantic balloon flight. Exclusive Private Group balloon flight experience. Booking a Last minute balloon flight. Wedding party with balloons, tethered balloon. Buy a hot air Balloonride Gift Voucher for Christmas present. Fly in a balloon near Rome, Magliano. Balloonrides over Alba, Barolo, Langhe, Carrù, Mondovì. Best locations, Sightseeing Tours. 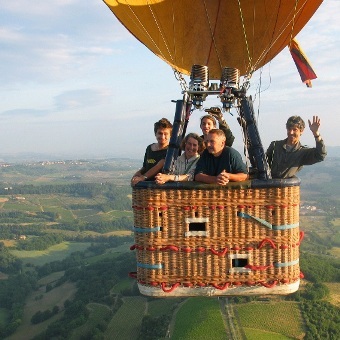 Ballooning Tours, Where the balloons takeoff, best Chianti Balloon flights for large groups, Incentive and teambuilding. Corporate events and Team building activities, Incentive ballooning tour, excursion. Tethered balloons for wedding party, Honeymooner flight, Reservation for a Private Exclusive luxus balloonride with Champagne breakfast. Castello di Gargonza, Tuscany Ballooning Sas, Gruppo Balloon Team Italia Srl, Ultramagic dealer in Italy. Safety first, Fly with the Best and Safest Hot-air Ballooning Company in Italy. 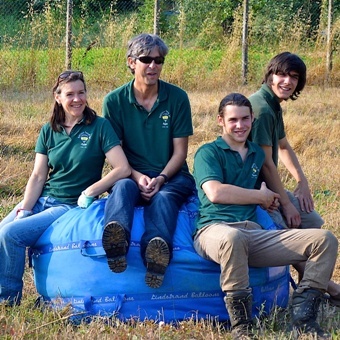 Hot-air ballooning in Tuscany, Italy, Balloon Team Italia Group.